Whole30 Diet emphasizes eating of Whole natural foods. It is a 30-days program designed with the hope of investigating how your body responds to certain foods, by first eliminating them and then slowly reinstating them after the 30 days are up. It is like pushing a reset button with your health, habits and relationship with food. 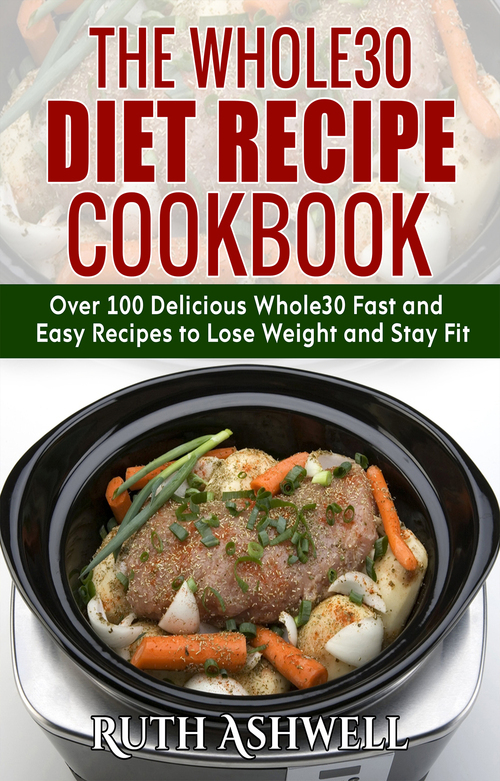 This book The Whole30 Diet Recipe Cookbook: Over 100 delicious Whole30 Fast and Easy Recipes to Lose Weight and Stay Fit is written to guide you by explaining the basics of this type of diet, the benefits and how you can prepare these dishes that are not only delicious but also healthy. You cannot compromise your health and life at the expense of just anyhow food, be it fast foods, junks etc. Learn how to eat Whole food by going on Whole30. It will definitely change your life.